New York Giants Victor Cruz has reveled the secret to The Rock’s mammoth build. Cruz, who starred in season 1 of US show, Ballers alongside Dwayne ‘the Rock’ Johnson, revealed how the 44-year-old has a full weight room in his trailer. “In his trailer, he’s got a full weight room,” revealed Cruz. “He’s doing work-outs and lifts in between takes. He’s stronger in person than he is on TV! “He was an immediate fan of football, having played at the University of Miami. In college he was pretty good. He would definitely have held his own. Cruz, the wide receiver who missed the entire 2015 season due to injury, has insisted that the storylines in Ballers mirror the challenges that young NFL players face. “The first season was a lot of fun,” he said. “The biggest thing is that it’s authentic – a lot of the storylines that you see happening throughout football are really depicted in that show. 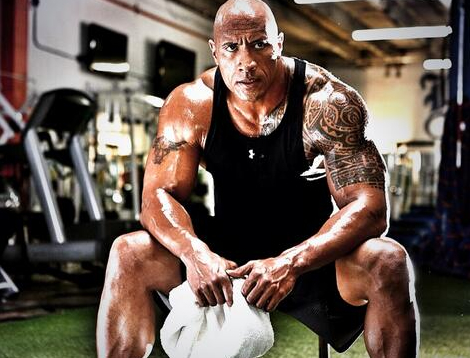 Ballers, featuring The Rock, returns to Sky Atlantic tonight.